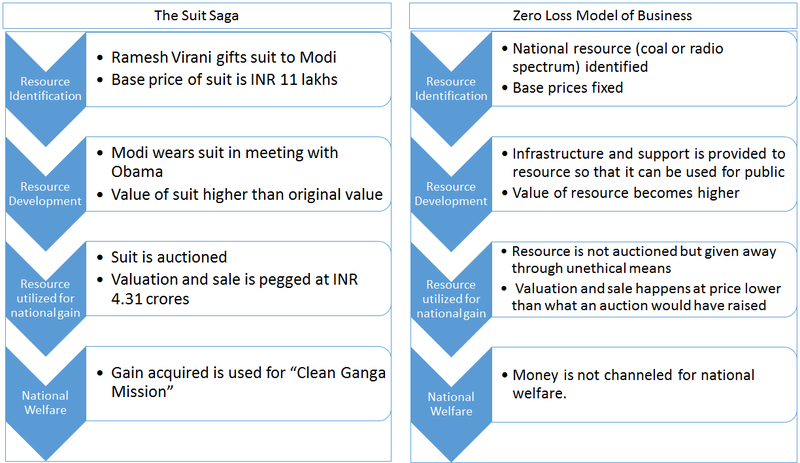 There's been so much hue and cry over the Narendra Modi suit saga and many people have lent an opinion. 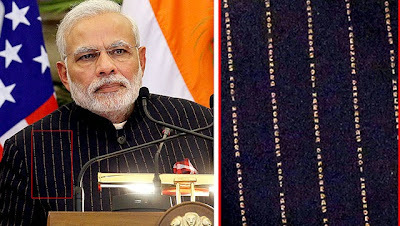 Some critisize Modi for a publicity stunt and others uphold him as a new-age fashionista. Prima facie - it looks like a publicity stunt with megalomania written all over it. But is it really? I wonder . . Here's the timeline of events. 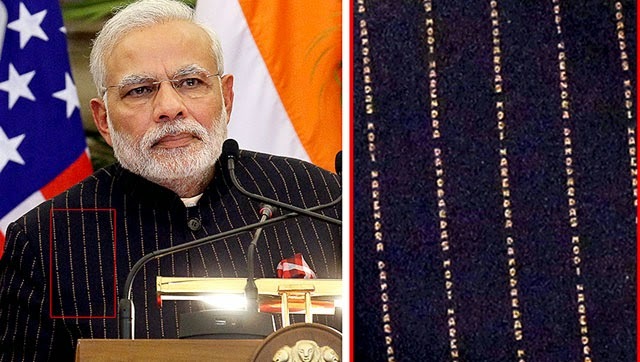 Modi is gifted a suit worth INR 10-11 lakhs by a businessman. He wears it during an important meeting with Obama thus inflating its value. He then auctions it via a public auction raising INR 4.31 crores. These funds are utilized for the "Clean Ganga Mission" via a very public and legitimate channel. On the other hand, we have the UPA government which had a national resource (coal, 2G spectrum etc.). They did nothing to increase its base price (provide infrastructure, help build business model for social cause, regulate fair play and in any way perform its inherent functions). Then they sold off the resource via very unethical means (which they conveniently call "first-come-first-serve") and the money thus acquired was not used (or sparsely used) for any social welfare of the "aam admi". As an added note, the current auction of spectrum has so far realized INR 109000 crores whereas the UPA method of doing business earned the government INR 9407 crores. If you compare the two events from a business model perspective, isn't there a comparison that can be done? 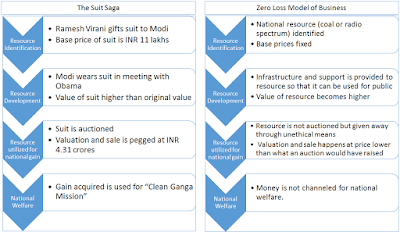 I am no economist and I am no political pundit, but isn't the suit auction proving that the famed "Zero-Loss Theory" by Kapil Sibal and the UPA was complete hogwash? That the government can earn money and help people as well? That business and good governance can happen hand-in-hand without a conflict of interest? Is there a lesson in this somewhere . . ?